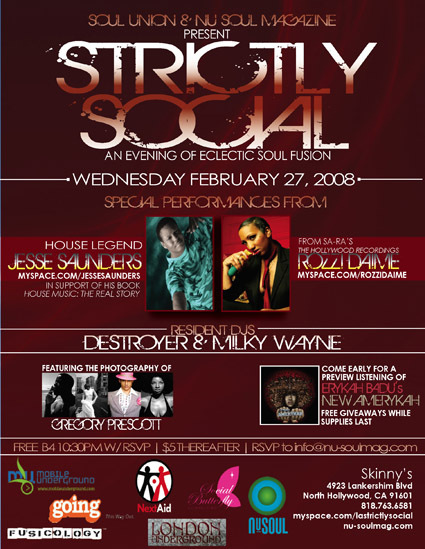 Nu-Soul Magazine and Soul Union once again bring you a night of eclectic soul fusion with Strictly Social. On Wednesday February 27 prepare for the most eclectic lineup yet! Admission is free with RSVP to info@nu-soulmag.com b4 10:30pm and just $5 after so get there early!